In October Fat Nancy will be heading to Doha for the Qatar Museums Authority opening of Damien Hirst’s ‘Relics’. 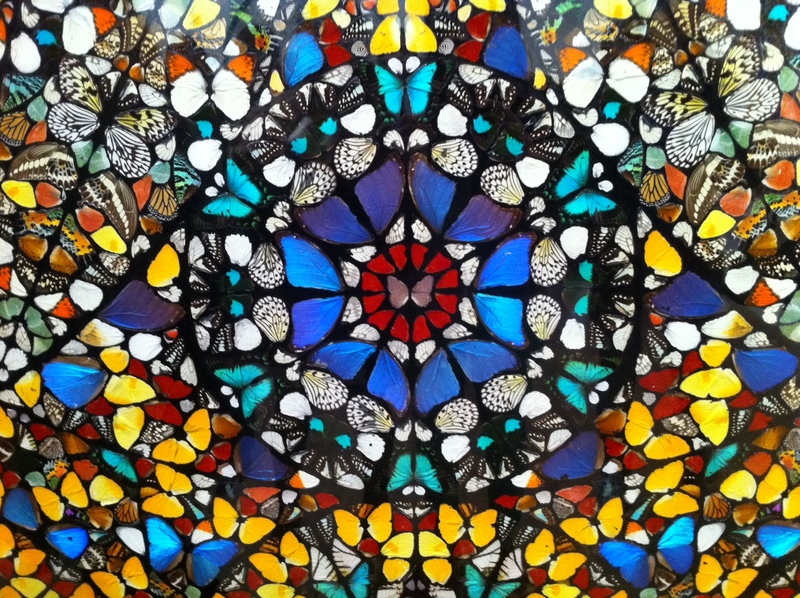 Billed as the most comprehensive survey of Hirst’s work ever shown and his first solo exhibition in the Middle East – the comprehensive exhibition will include both famously iconic, and previously unseen artworks. Explaining, ‘art’s about life and it can’t really be about anything else … there isn’t anything else,’ Hirst’s work investigates and challenges contemporary belief systems, and dissects the tensions and uncertainties at the heart of human experience. ‘Relics’ will include pieces from a cross-section of Hirst’s most important series including the Spot Paintings and the Natural History series of animals preserved in formaldehyde. 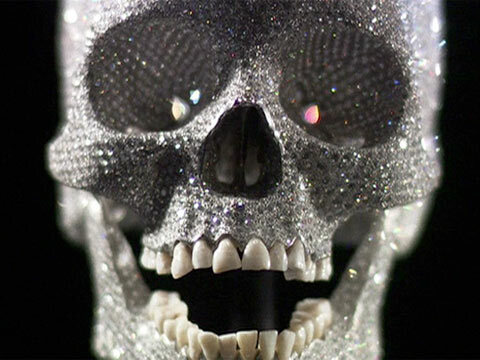 Also on display will be one of the most iconic and widely recognised artworks to have emerged in the past decade; the diamond encrusted skull, For the Love of God (2007). 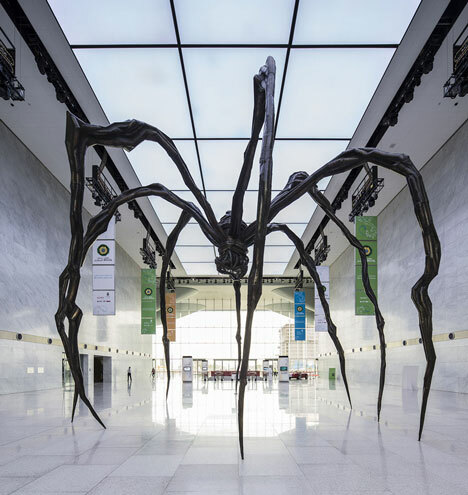 The exhibition follows in the footsteps of Hirst’s major retrospective at Tate Modern in 2012, which became the most visited solo exhibition in the gallery’s history, to mixed reviews. Curated by the internationally renowned writer, critic and curator, Francesco Bonami, ‘Relics’ is part of a series of cultural initiatives organised by QMA in order to foster discussions and cultural exchange between the UK and Qatar. 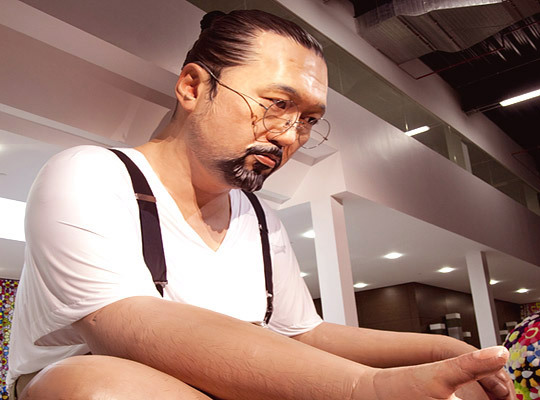 A year ago, Fat Nancy reviewed three blue chip artists showing across Doha for The National – Takashi Murakami, the late Louise Bourgeois and Cai Guo-Qiang (see below or here). There was an encouraging and concerted effort to draw the local viewer into the exhibitions, either through ‘studio’ galleries exposing the creative process or through works specifically commissioned to explore ties between the artists’ home countries and the Middle East. Yet when Fat Nancy visited on a weekend, the galleries remained largely empty of viewers, with more security guards than visitors. 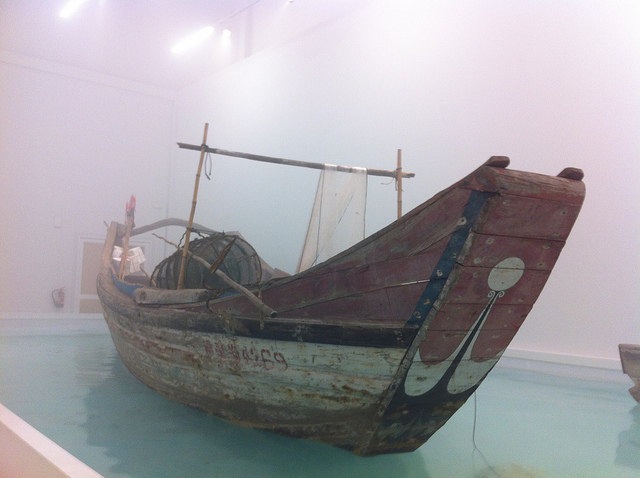 It’ll be interesting to see how the cultural scene in Qatar has developed in the last year and a half, whether Hirst will draw a bigger audience and how Hirst and Bonami work towards engaging with the local audience. There are some obvious triggers that may attract an increased number of resident visitors to whom his work may still be relatively unknown, including his geometric pieces and his diamond encrusted series of sculptures. * But still, if we use Doha as a precursor to the museums being built in Abu Dhabi, the question stands – if you build it, will they come? * The make up of ethnic groups in Qatar is as follows: Qatari (Arab) 15%; other Arab 13%; Indian 24%; Nepali 16%; Filipino 11%; Sri Lankan 5%; Bangladesh: 5%; Pakistani 4%; other: 7%. In 2010, there were 250,000 Filipinos in Qatar, making them the third largest among expatriates. A full review to be published later in the Autumn.